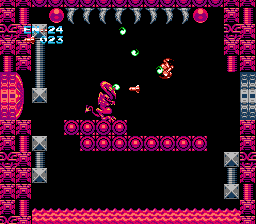 ‘Roidz is a graphical re-tooling of the original Metroid, in similar fashion to MDbTroid, but with it’s own style and aesthetic. This hack features all new sprites and updated background graphics, new animations, and a couple of other small treats that help breath new life into this classic game. I have never seen NESTroid looking so beautiful, I recommend this to anyone who wants to play NESTroid with a new look. An excellent graphics hack! DemickXII offers us some quality examples of true graphics editing talent. 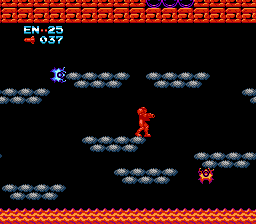 DemickXII enhanced every aspect of every tile and sprite throughout the entire game. Included are some very impressive animations. This hack also features minor changes to the item rooms to add his own signature touch to the original vanilla level design. 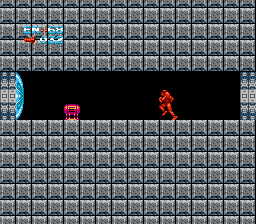 Some of DemickXII's graphical works from 'Roidz will be featured in Rogue Dawn (M1 hack) including the main player sprite ("justin Bailey" graphic, slightly modified by myself) as well as some of the creatures (yet to be determined). This is probably the best looking NEStroid hack currently. 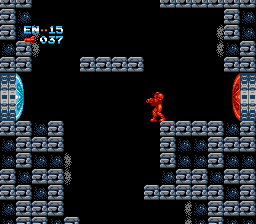 A lot of effort went into changing up the GFX for this hack, and for those who want to play NEStroid with a slightly different look, this is definitely a hack for you. Not the first or the last of its kind but it sure looks nice. 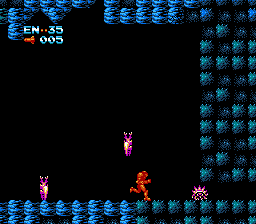 Though it is just a graphical update on the original Metroid, it's an absolutely gorgeous one, and if you're a fan of Metroid 1, I'd highly recommend checking this one out.